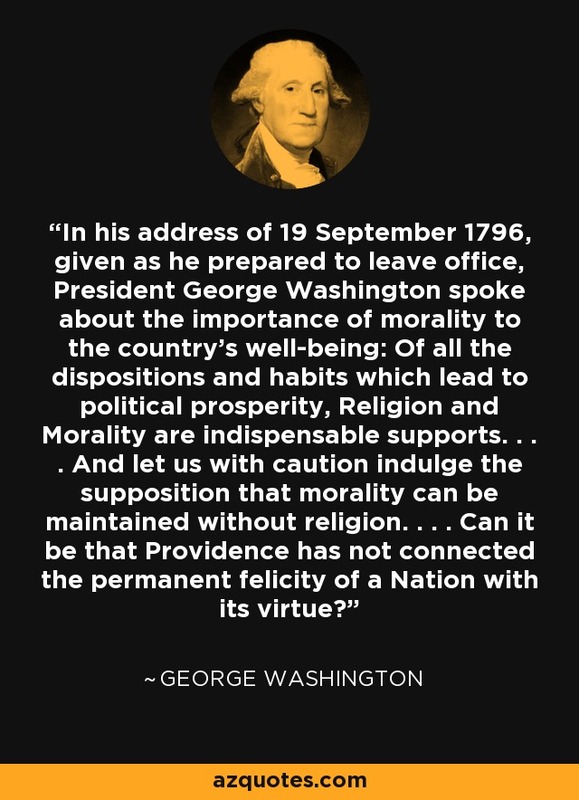 In his address of 19 September 1796, given as he prepared to leave office, President George Washington spoke about the importance of morality to the country's well-being: Of all the dispositions and habits which lead to political prosperity, Religion and Morality are indispensable supports. . . . And let us with caution indulge the supposition that morality can be maintained without religion. . . . Can it be that Providence has not connected the permanent felicity of a Nation with its virtue?